This session was designed for primary care health professionals working with people of refugee background. 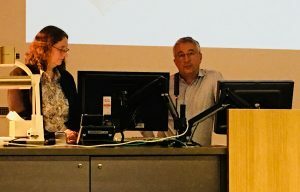 Presentations included information about the screening and management of malaria, tuberculosis (TB) and syphilis, including syphilis in pregnancy and perspectives from different refugee communities. Miss this education session? Watch it online here. Dr Kay interviews Dr Kostner at the Refugee Health Education event. Dr Margaret Kay, GP and Multicultural Health Clinical Lead, Brisbane South PHN – Download her presentation here. Miss this education session? Watch it here. Maureen Fordyce, Manager, AMPARO. Watch her presentation here. Venantie Niragira, Bicultural Worker, AMPARO Advocacy. Watch her presentation here. Dr Christine Phillips, GP and Chair, Refugee Health Network of Australia Watch her presentation here. Panel Q & A discussion facilitated by Dr Rachel Claydon, Qld Refugee Health Fellow. Watch it here. Written by National HBV Reference Committee and updated and presented by Dr. Margaret Kay, General Practitioner, Salisbury, QLD. Watch the webinar online here: Presentation by Dr Margaret Kay. Watch the Education sessions online by clicking on the links below. Video – This video demonstrates the importance of using interpreters when seeing patients (Royal College of Obstetricians and Gynecologists). 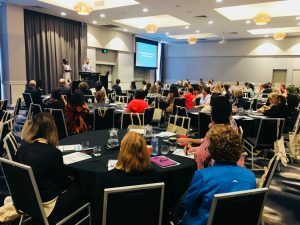 This event was organised by the Refugee Primary Health Care Clinical Advisory Group and funded by Brisbane South PHN, Brisbane North PHN and Mater. Nutrition from an Eritrean Perspective: Presentation prepared by Samira Ali outlining some of the history and context of Eritrea and the food and customs of the people.